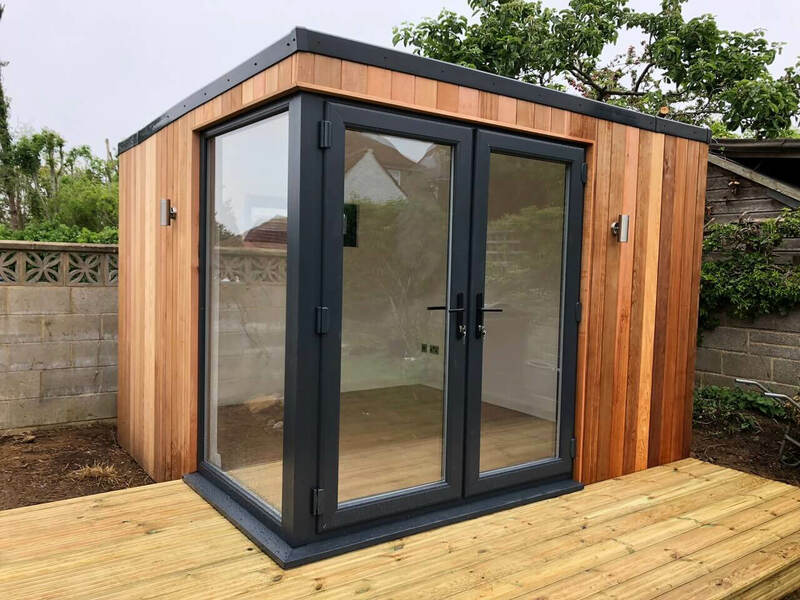 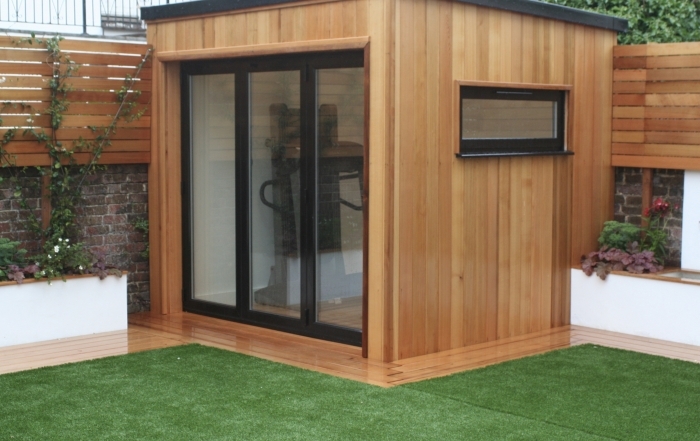 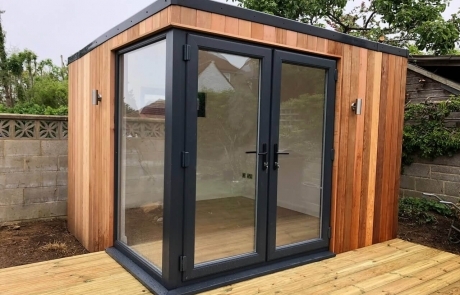 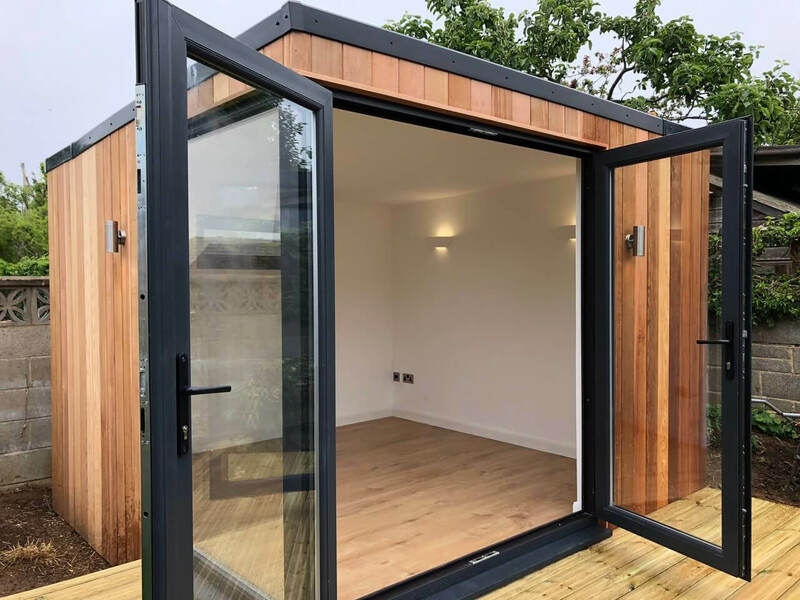 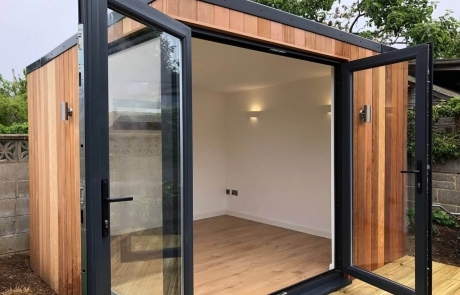 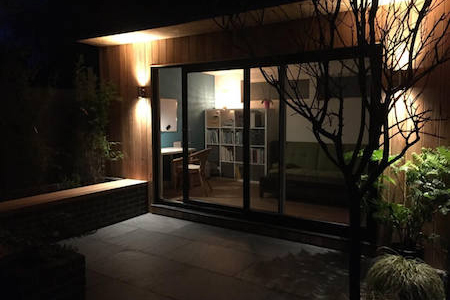 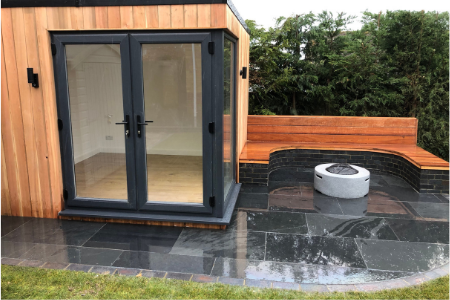 Mark and his family wanted us to build them a garden room and surrounding decking area for their home in Hove. 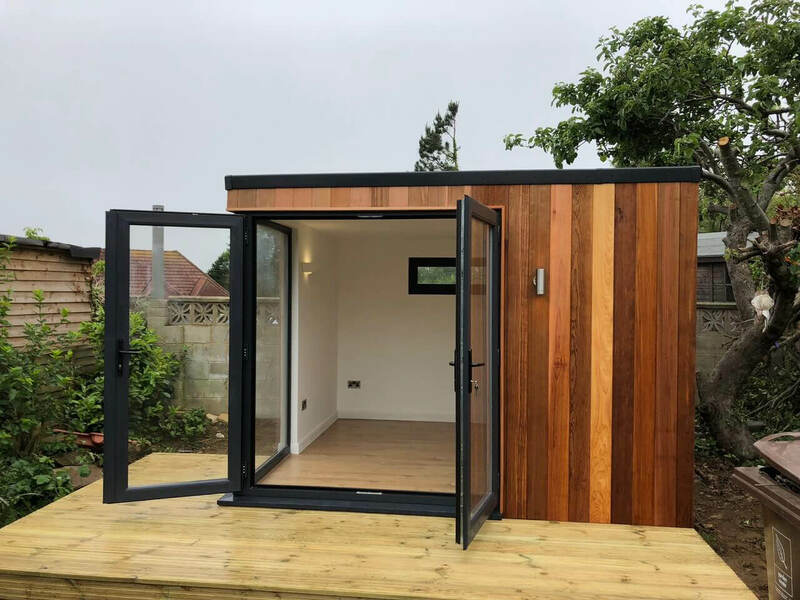 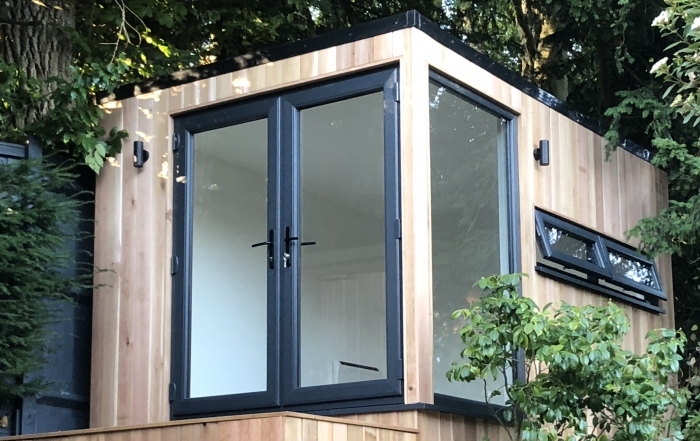 They chose an Abode room with dark grey French doors, with a full length picture window to the side and a top hung window along the back of the room to let in lots of light. 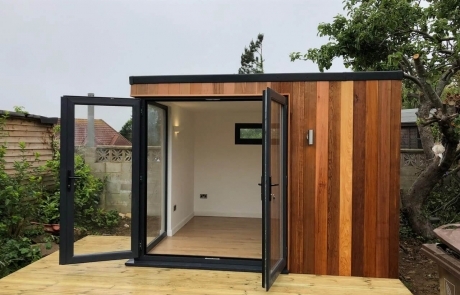 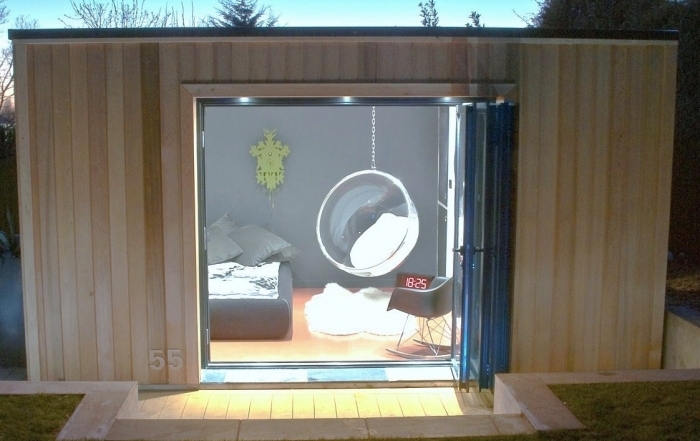 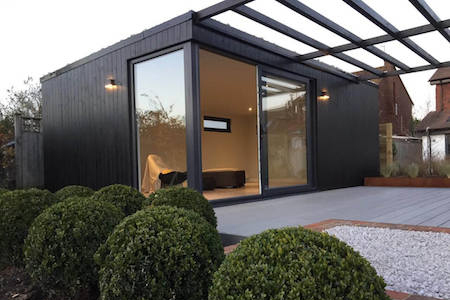 The oak laminate flooring is complemented by the decking area which wraps around the front and side of the studio.